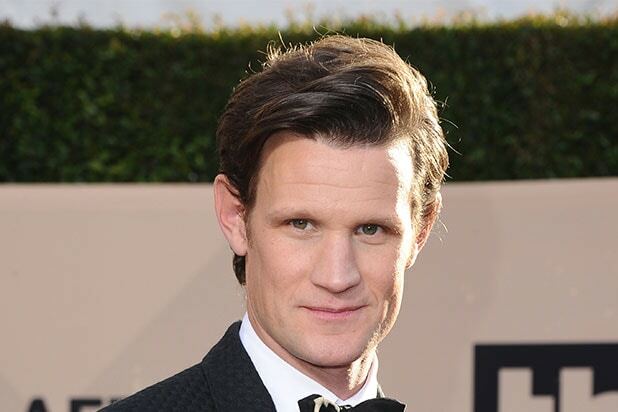 Matt Smith will play Charles Manson in “Charlie Says,” a film by “American Psycho” director Mary Harron, an individual with knowledge of the project told TheWrap. Suki Waterhouse, Hannah Murray, Odessa Young, Marianne Rendon, Cara Gugino, Kaylie Carter and Merritt Wever have also been cast in the drama, which will film in Los Angeles in the spring. The film will focus on the three young women, played by Murray, Young and Rendon, who were sentenced to death following the grizzly Manson murders. When the death penalty was lifted, their sentence became life imprisonment. Wever will play Karlene Faith, a young graduate student who was sent to teach them. One young graduate student, Karlene Faith (Wever), was sent in to teach them — and through her we witness their transformations as they face the reality of their horrific crimes. Reuniting Mary Harron with writing partner Guinevere Turner (“American Psycho”), the film is written by Turner based on source material from Ed Sanders’ 1971 best-selling book “The Family,” as well as “The Long Prison Journey of Leslie Van Houten,” written by Karlene Faith – the prison-appointed social worker from the case who until her passing last year, remained an advocate for Leslie Van Houten, who had been up for parole over twenty times. Matt Smith and Hannah Murray are repped by UTA and Troika, Odessa Young and Carla Gugino are repped by CAA, Marianne Rendon is repped by Gersh, Merritt Wever is repped by Innovative Artists and Kayli Carter is repped by ICM. UTA is handling domestic sales rights, and Fortitude International will handle international sales on the film. No other mass criminal or cult figure in American history has garnered as much fascination within Hollywood and popular culture as Charles Manson (though Ted Bundy is coming close). He and his "family" have been the subject of movies, parodies, and he even landed a Rolling Stone cover. "American Horror Story: Cult" had an actor portraying Manson, and Quentin Tarantino is digging up the past for his "Once Upon a Time in Hollywood" featuring the Manson Family murders. Here is a sampling of actors who have dared to play the notorious figure. The memory of Manson was still fresh when this TV special based on Vincent Bugliosi's book aired. CBS even made it a two-night special. This TV special about the career of the Beach Boys explored Manson's relationship with founding member Dennis Wilson. Officially released in the U.S. in 2004, this dramatization of the Manson Family murders in director Jim Van Bebber's film is seen all through the lens of Super 8 home movies. Way back in Season 2 of "South Park," Trey Parker had some fun with Manson by having the kids teach him the true meaning of Christmas after he escapes from prison. This CBS update of their classic "Helter Skelter" shifted more of the focus away from Bugliosi and onto Manson and "family" member Linda Kasabian, with Jeremy Davies playing the cult leader. 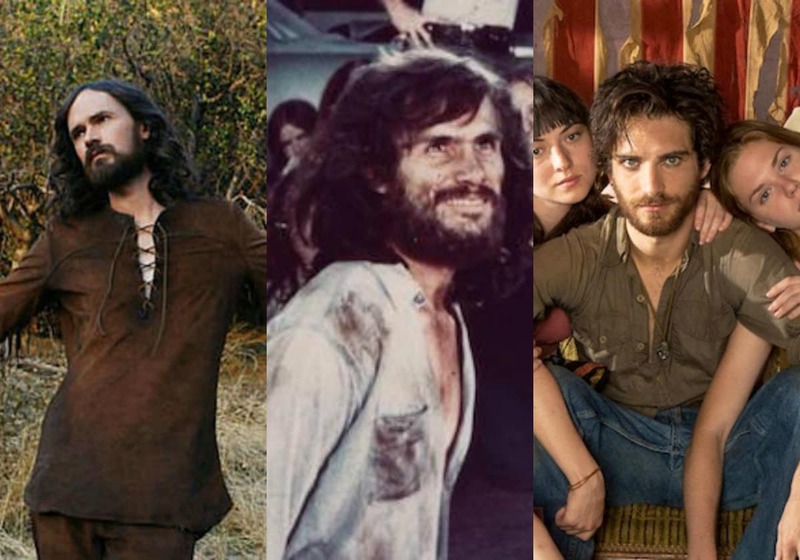 Kiser actually had the "honor" of portraying Manson twice, once in 2009's "Lie" and again in 2014 for "House of Manson." The latter film goes further back into Manson's life leading up to the murder of Sharon Tate and resembles Charles "Tex" Watson's account of events most closely. Remember when news came out that Manson had found love in prison with 26-year-old Star Burton? Who couldn't fall for his beard and "winning smile." And he's only in for income tax fraud! The short-lived NBC drama "Aquarius" was set in 1967 and followed two detectives searching for a missing girl who ended up being a Manson recruit. Even Lifetime got into the Manson Family story. One of the network's original movies focused on Linda Kasabian and several of the other female members of the family caught up in Manson's spell. In "American Horror Story: Cult" Evan Peters plays a politician who becomes obsessed and inspired by Manson and is eventually possessed by him. Quentin Tarantino's ninth film isn't specifically about Charles Manson, but it is set in Hollywood in 1969 and includes Margot Robbie portraying Sharon Tate along with many other real life figures rounding out the cast. Tarantino's Manson is Damon Herriman, who also portrayed Manson in David Fincher's "Mindhunter." "Charlie Says" is set years after the Manson Family murders and focuses on the psychological rehabilitation of Leslie Van Houten, Patricia Krenwinkel and Susan Atkins. "Doctor Who" actor Matt Smith portrays Manson in flashbacks to examine the mental spell he cast on the many women who killed for him.